I'm lucky enough to have a small deal with American Greetings (the card company), and they were interested in a previous version of this image. 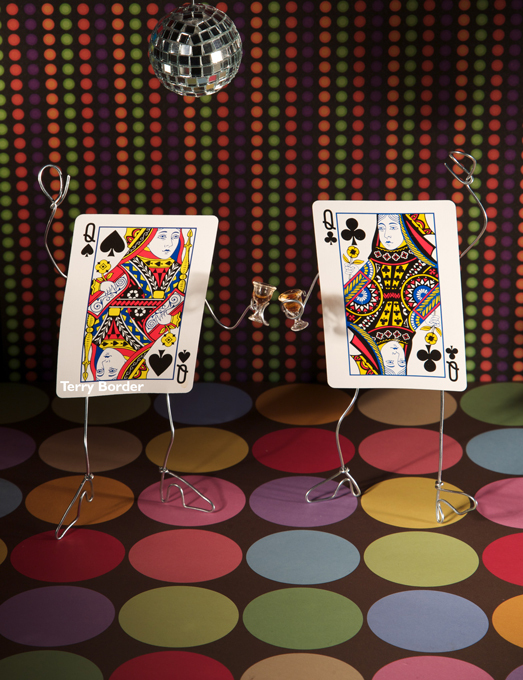 In the previous version there were queens out dancing (although one was a Jack, that was supposed to be the funny part), but for card purposes they just wanted two queens showing in a vertical format. I've learned that in the card business, it's all about vertical formats! I guess they know what they're doing. Oh, and here's some music to go with the post.